Are you wondering what to cook and eat in May? Here is what will make your dinner fresh and at the same time delicious. 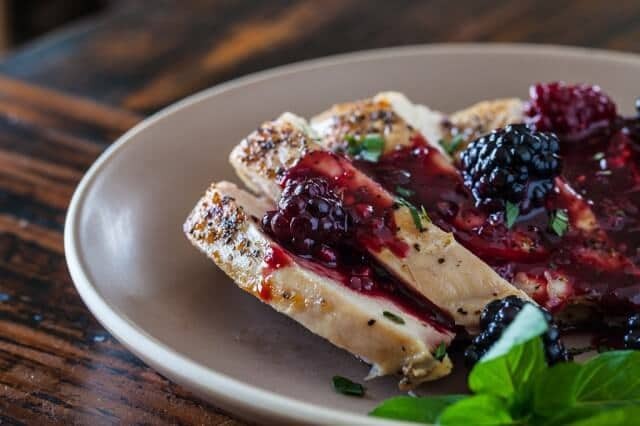 Marinated roasted chicken is baked in special clay pot together with sweet-sour berry sauce, which adds fantastic flavor to the meat and makes it much more tender. Fresh herbs and garlic are added to the dish at the last moment before served. 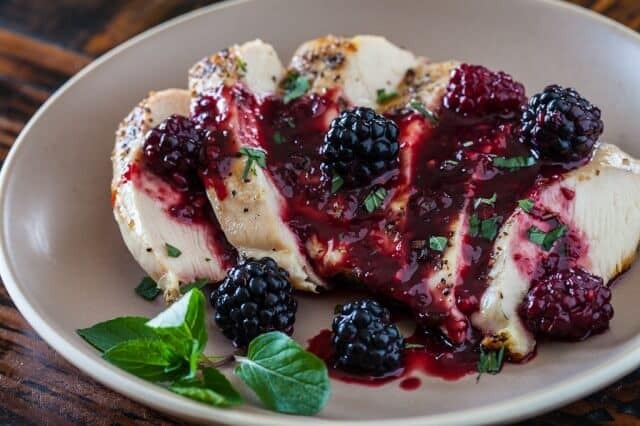 Marinated chicken with berry sauce is a perfect winter dinner. The price is 15.00 lari at Georgian Restaurants. In a small bowl, mash 2 tablespoons berries. Add 1/4 cup broth, brown sugar, vinegar, oil, garlic, 1/4 teaspoon paprika and cumin. Place chicken in an 11-in. x 7-in. baking dish coated with cooking spray; pour broth mixture over the top. Sprinkle with thyme, salt, pepper and remaining paprika. Bake, uncovered, at 375° for 20-25 minutes or until a meat thermometer reads 170°, basting occasionally with pan juices. Remove chicken and keep warm. Skim fat from pan drippings. In a small saucepan, combine cornstarch and remaining broth until smooth. Gradually stir in drippings. Bring to a boil; cook and stir for 1-2 minutes or until thickened. 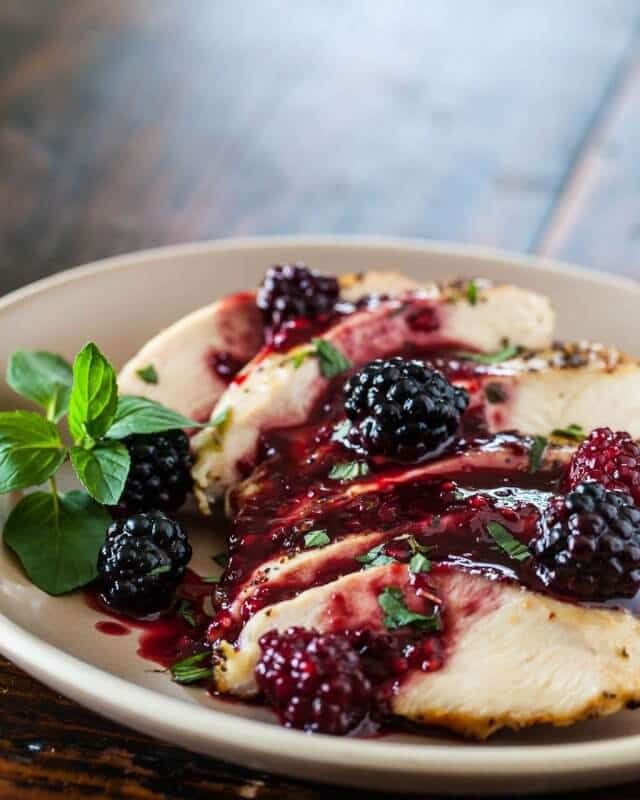 Serve with chicken; sprinkle with remaining blackberries.Yield: 6 servings.